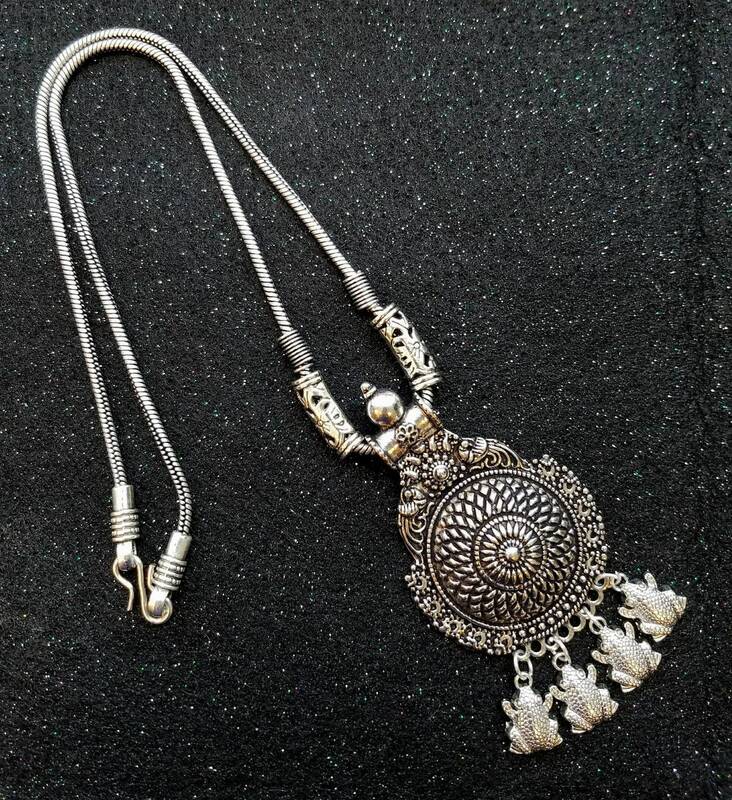 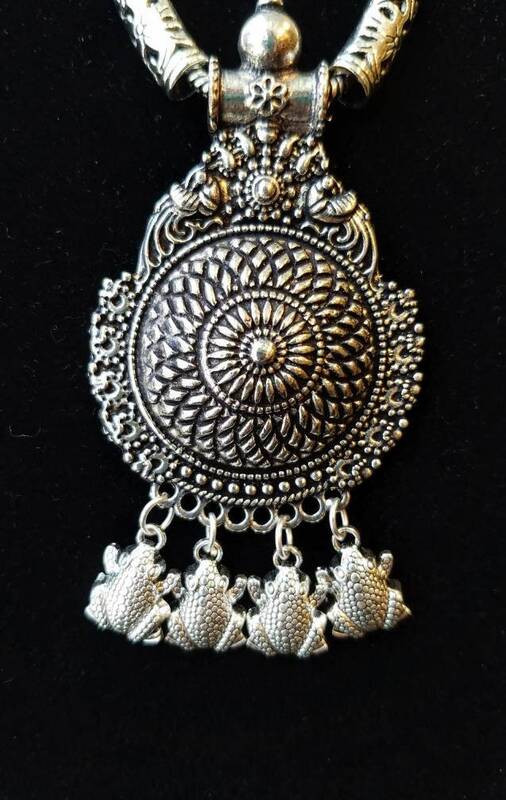 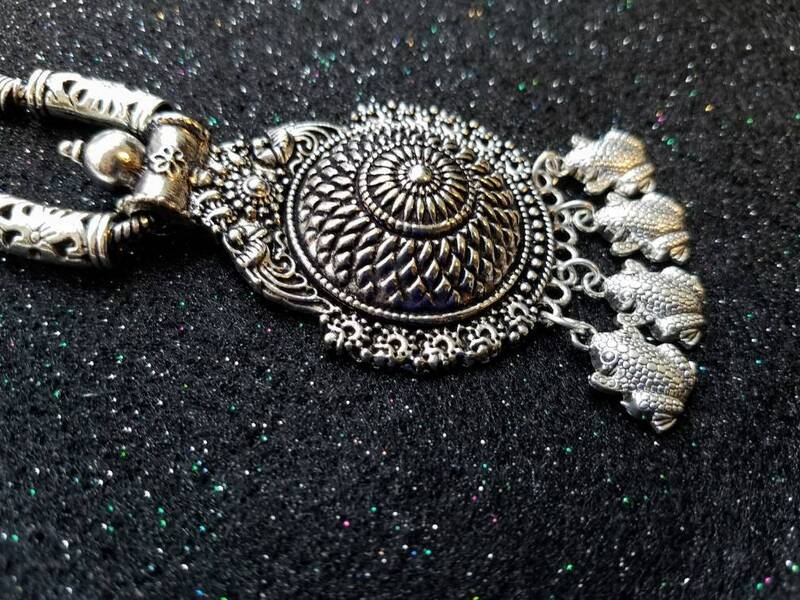 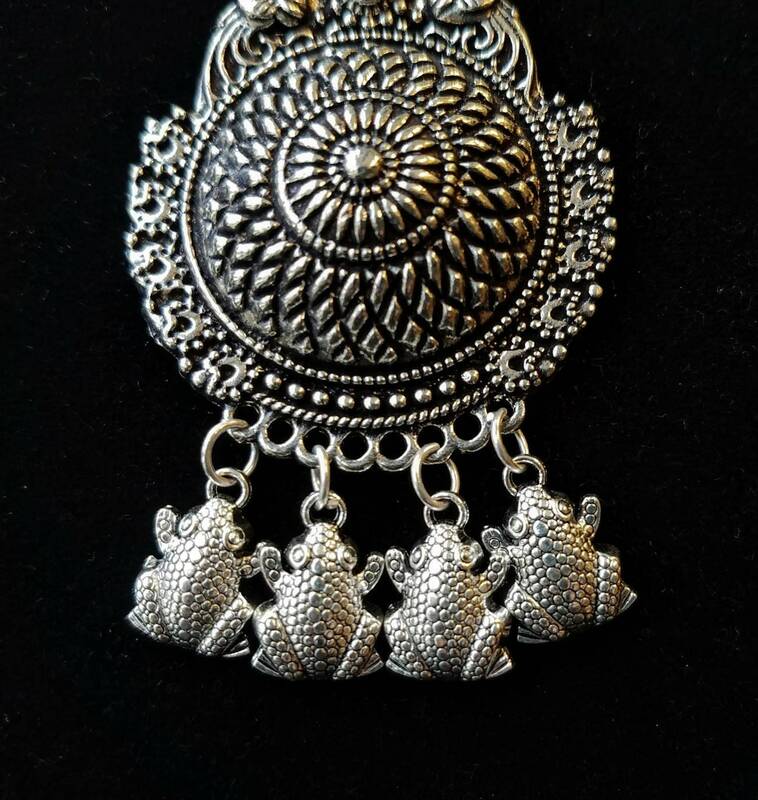 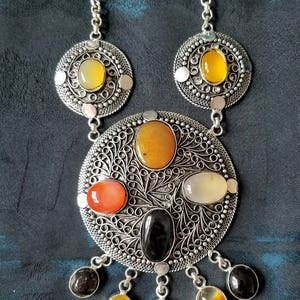 Handmade detailed boho pendant, with central spiraling mandala, peacocks above, cute frog charms suspended from below. 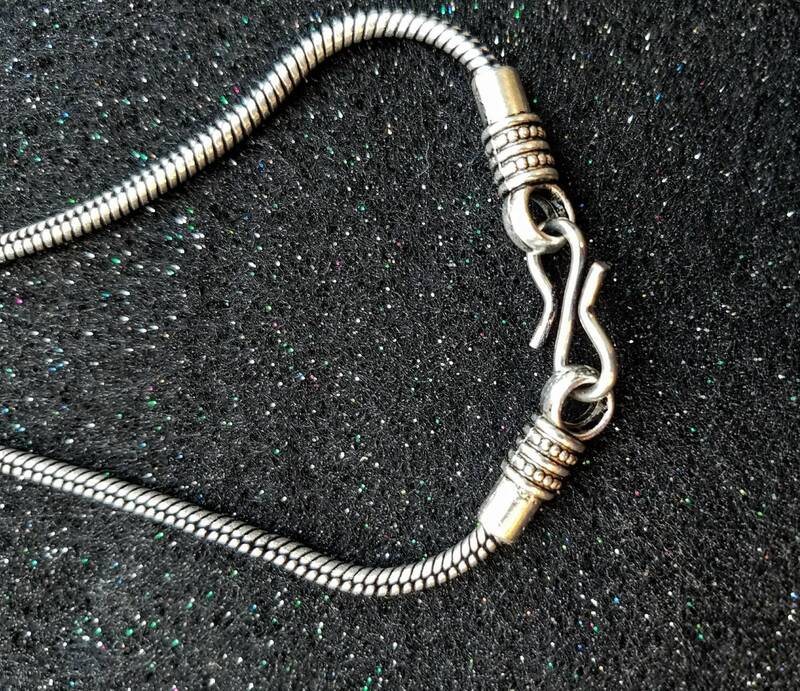 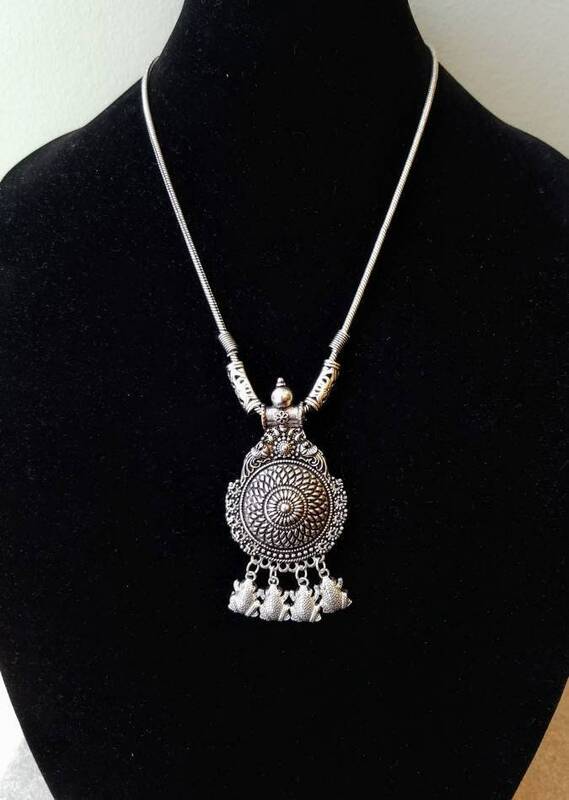 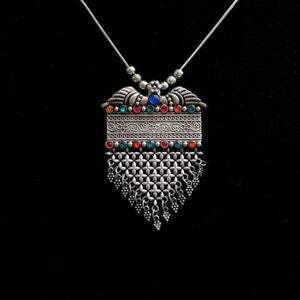 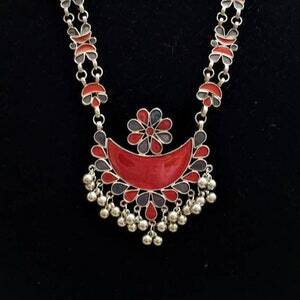 In oxidized silver, which adds depth and interest. 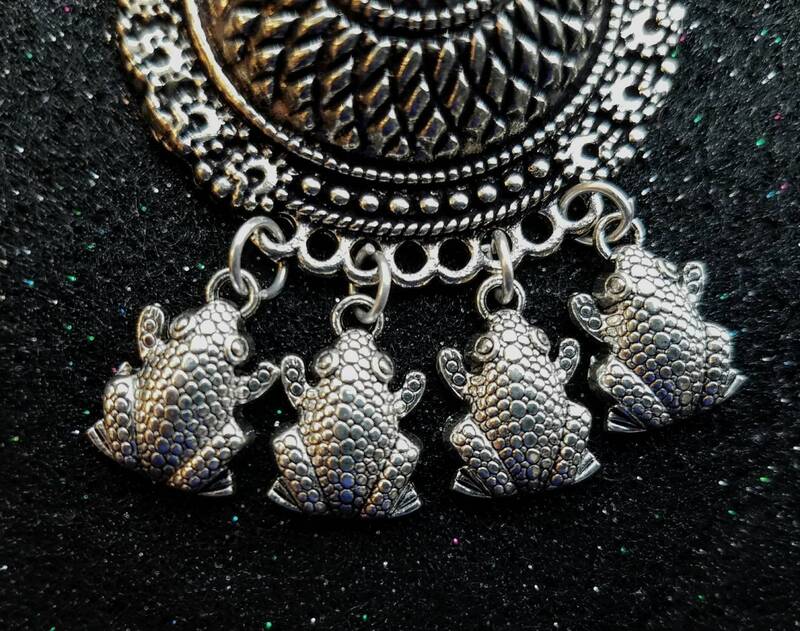 The little froggies are in a bright light silver color. 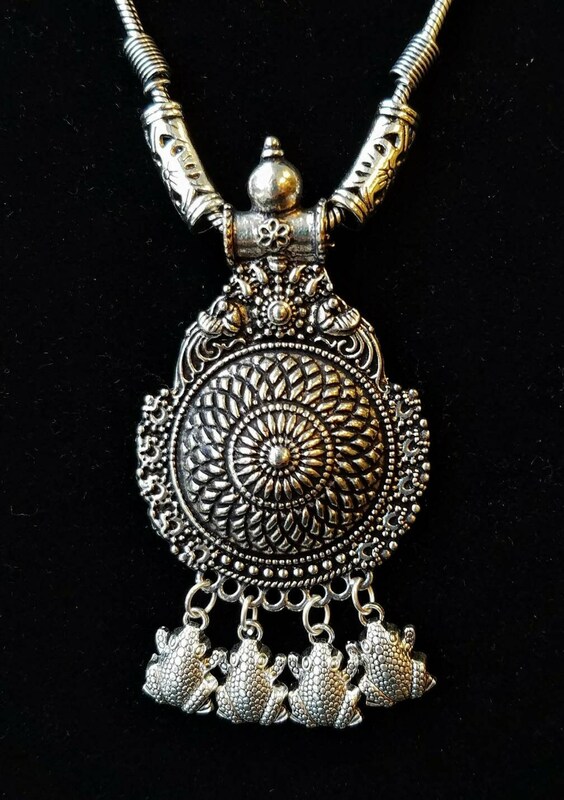 Substantial metal chain and secure clasp. 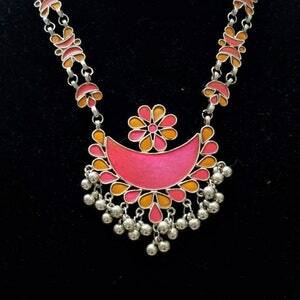 Very attractive and eye catching!